Two months ago I hooked up my VHF satellite receiver to the SatNOGS network. 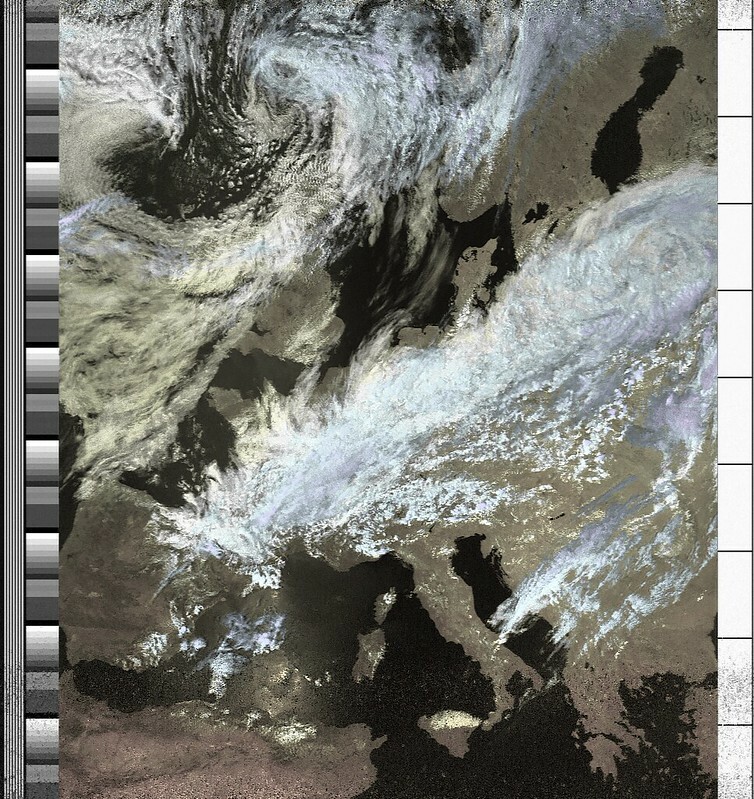 Since then, the receiver has been receiving many different satellites, including APT images from NOAA 15, 18 and 19. The receiver is basically just a test setup sitting on my desk. 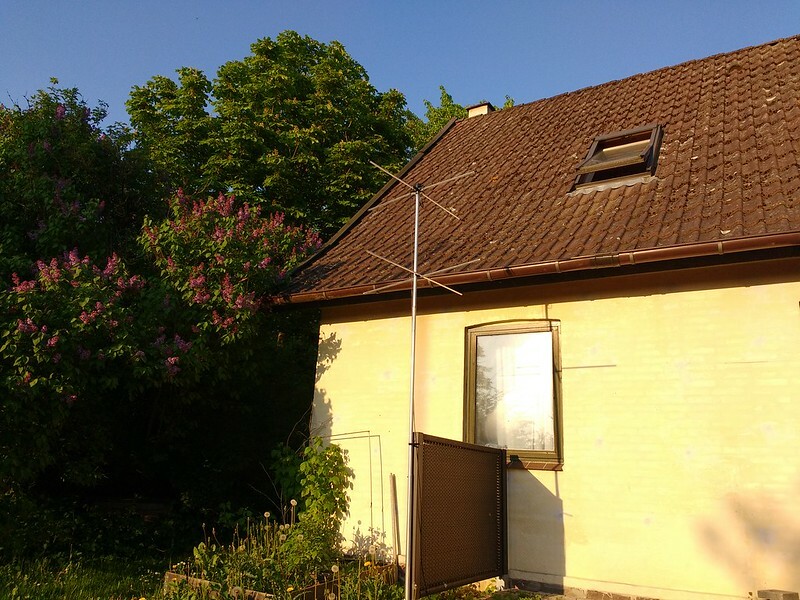 It consists of a 137 MHz Turnstile antenna, Airspy One SDR, and an Up-board. There is no LNA between the antenna and the receiver. There is very little RF interference at my location. Even without an LNA, I can receive weak CW beacons from cubesats in the 2-meter ham band. My biggest problem right now is a very little line of sight due to house, trees, and bushes, as you can see in the picture below or in this previous post. 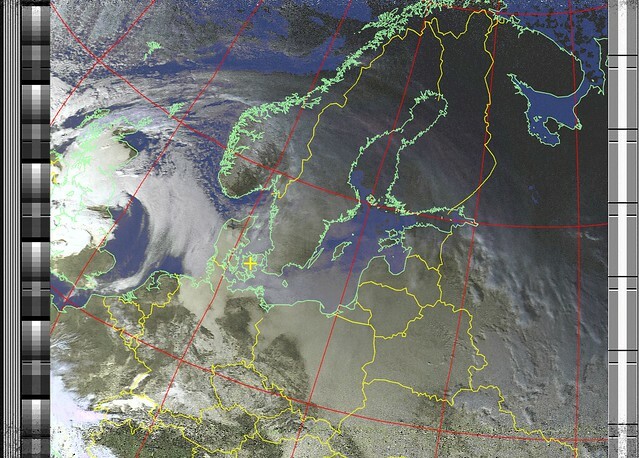 SatNOGS does not yet support storing and displaying decoded images. Therefore, I am collecting all received images in a photo album hosted on Flickr. Feel free to browse and share. Currently, I am scheduling all passes manually two to three times per day. This will not work out for me in the long run and I will need a way to automate all this. Ideally, I want to be able to give a prioritized list of satellites to my ground station and let it perform all tracking and decoding by itself. If there is some idle time in between the satellite passes, other members of the SatNOGS network can schedule additional passes manually – just as they can today. I hope this will be possible through a future version of the SatNOGS interface, otherwise, we’ll have to mix SatNOGS with some local shell scripts.